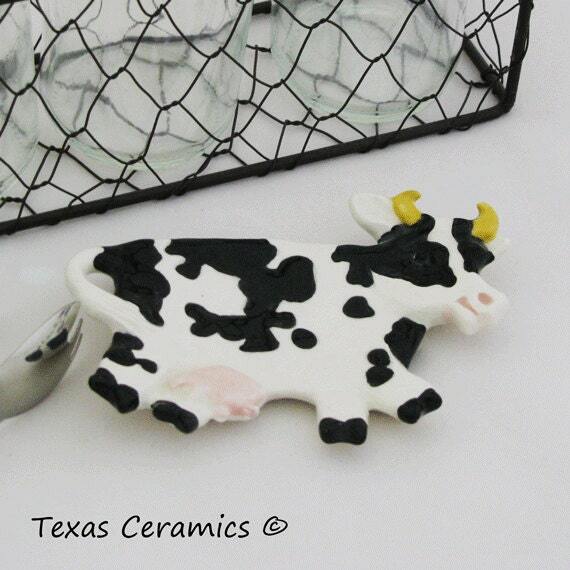 This little black and white spotted cow can be used as Tea Bag Holder, small spoon rest or catch all. 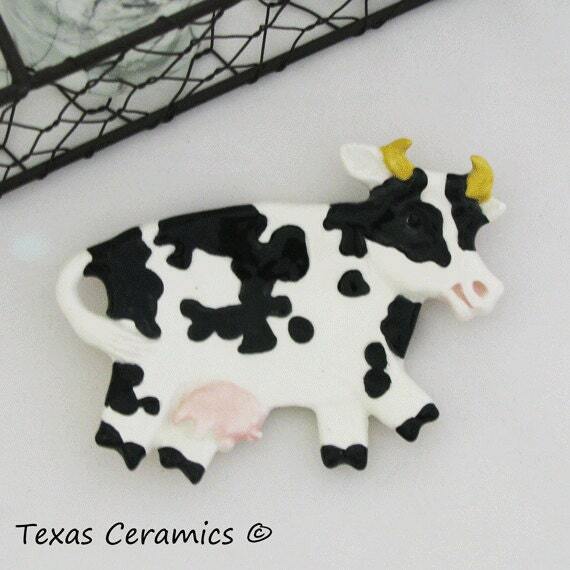 This cow will help you keep kitchen counters tidy and clean. It can also be used to help you keep those special pieces of jewelry in one place. 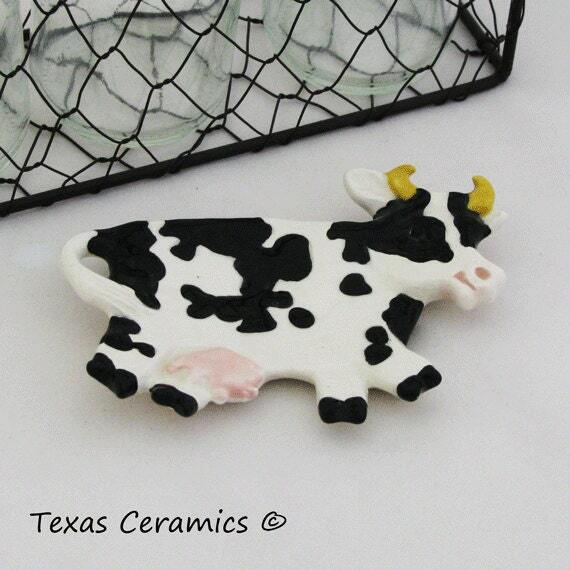 This cow is solid cast by hand using a ceramic mold and kiln fired twice. Each piece is finished by me. 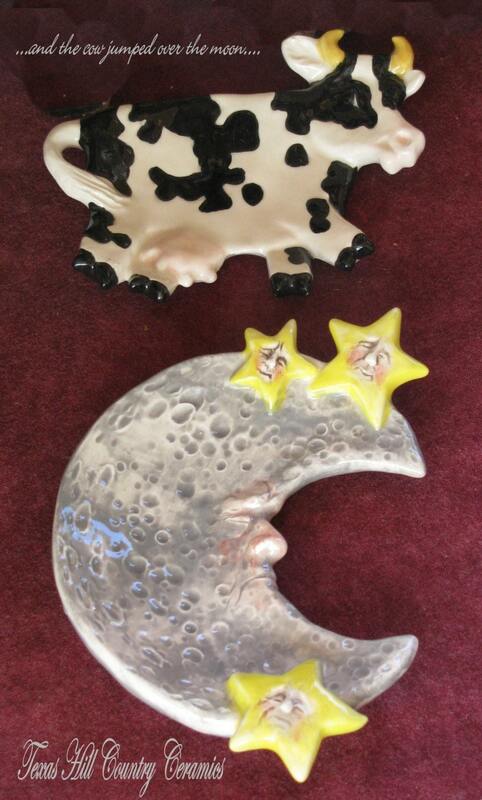 During the process I use many techniques and non-toxic products to achieve the final piece you see. 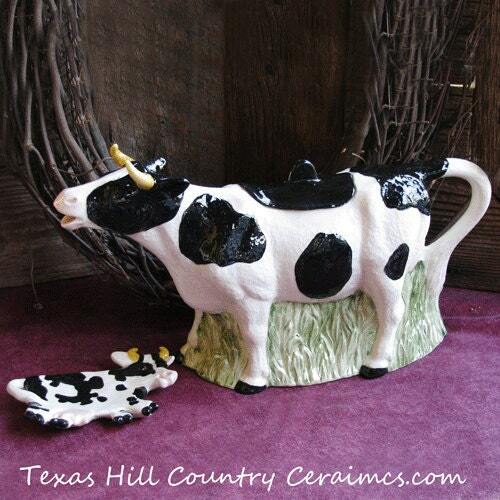 It is dishwasher safe & food safe, the colors or design will not wash off, fade or peel. Not only does it make a great tea bag holder or small spoon rest it can also be used to hold rings, earrings or jewelry, or as a desk accessory for paper clips, tacks, staples, keys, or mini soap bars, candy, coffee pods, or as a dish scrubber or vegetable brush, or sewing items (needles, pins, buttons, etc.,) pet treats, dinnerware place setting accents, in Gift Baskets, the uses are unlimited. Amazing work and the seller was super friendly and easy to work with! Fast shipping as well!! Would absolutely order from this shop again!